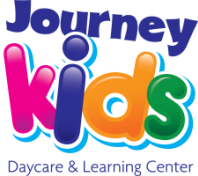 The Journey Kids Daycare & Learning Center is an extension of The Journey Church. Its mission is to provide quality Christian childcare to families within our community. Our daycare program strives to meet the spiritual, social, cognitive, and emotional needs of children and their families in a safe and secure environment. As a Christian daycare and learning center, we believe it is our duty to provide well-balanced curriculum where the wonders of early childhood flourish and solid foundations for learning are established. We believe that spiritual training is a vital part of a child's total development. As children actively participate in daily learning activities, it is our desire to relate to them the reality of God's love. We continually strive to provide the best care possible for our clients. The Journey Kids Daycare & Learning Center is dedicated to the promotion of the physical, social, intellectual, emotional, and spiritual growth of all children during their formative years. We provide a safe, secure environment for children while equipping them with skills that will enable them to meet the demands of a complex world. Intellectually, by creating in each child an enthusiasm for learning and discovery, by providing opportunities to broaden the child's experiences. Physically, by providing experiences, which will develop large and small muscles, coordination, and motor skills. Socially, by encouraging children to participate in group activities, learning to get along with others, and to develop a sense of belonging and security. Emotionally, by encouraging independence through making decisions and problem solving. We strive to help each child gain confidence, self‑esteem, and a strong sense of self‑worth through love and care. Spiritually, by developing an awareness of God's love and His presence in our daily lives. The USDA Nondiscrimination information can be found here.